Christopher Lloyd didn’t do a whole lot of time traveling himself in the Back To The Future movies—possibly because it always went poorly when he did—but he’s still probably the world’s foremost time-travel expert who isn’t a British alien with a flying police box. Now, he’ll be bringing that expertise to Syfy as a guest star on the third season of time-travel drama 12 Monkeys. According to a press release, he’ll be playing Zalmon Shaw, a “charming but deadly cult leader who preys upon others’ tragedies and losses” in order to recruit new members into the Army Of The 12 Monkeys. He also happens to be the father of the mysterious and villainous Pallid Man, so he’ll probably be an important figure in the show’s mythology. 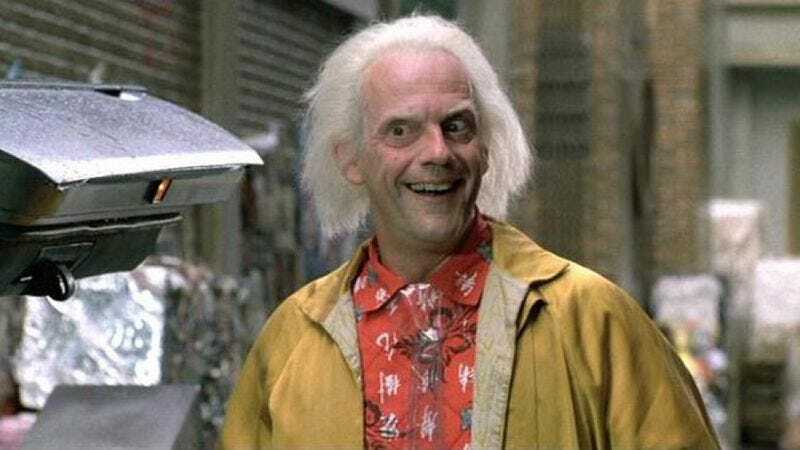 Plus, Doc Brown’s kids at the end of Back To The Future Part III always did seem a little creepy, so making him the father of the bad guy in a time travel show is pretty clever. The third season of 12 Monkeys will probably premiere at some point next summer, and Christopher Lloyd’s guest appearance will hopefully include at least as many Back To The Future references as his Spin City episode did.